Can We Find a Way to Be Grateful for the Tough Stuff? Are You Focusing on the Dot in Your Life? I know I’m not the only little girl who played Momma or house and assumed it would all happen in real life exactly as I dreamed. I dreamed about what I’d be when I grew up, about the knight in shining armor I’d marry, about the babies I’d have, and the life I would live. I’m all for a fairytale ending, but the script isn’t always written like that. Do you remember playing games in gym class during elementary school? Everyone lined up and the team captains chose people, one by one, for their teams. Everyone secretly wanted to be chosen first, or even in the top ten, but sometimes you had to stand there and watch as everyone else’s names were called but yours. You cheered when your friends were chosen, and hoped your name would be next… You wondered, “Why haven’t I been chosen yet?” and, “When will it be my turn?” You knew your name would be called eventually, but by which team? The successful one or the unsuccessful one? You’re probably wondering where I’m going with this. Everyone tries to relate or understand what infertility is like, and the best way I can explain it is that it’s like waiting for your turn to be chosen for a team, and you desperately want to be put on the successful one. For the record, I was decently athletic, so when it came to games and sports I was usually at least chosen in the middle. But in real life, when it came to babies and my dream of being a Momma, I had to wait. I had to wait, hope, beg, cry, and work to have my turn. We have watched our friends get pregnant effortlessly. We have seen the sweet gender reveals on Facebook. We have listened to the woes of pregnancy, secretly knowing we’d give limbs from our own bodies to experience those aches and pains that come from carrying your own child. I’ve actually said to myself, “I’d totally throw up every morning and night for several weeks if it meant I’d get to carry my own child.” To most people that sounds crazy, but to anyone who has ever longed to carry a child, it sounds perfectly normal. People I know would tell me that they were going to try and have a baby, and the next thing you know it happened…and I have whole-heartedly rejoiced with them! A positive pregnancy test came so easily for them while I’m over here letting mine sit for a few extra minutes because just maybe the second line hasn’t come through yet. We’ve heard all the “consoling” lines like, “If you’ll relax, it will happen” and “It will happen when it’s supposed to.” All said with good intentions, but still reminders of the emptiness of infertility. I would hear stories about women on the news who were in trouble for neglecting, mistreating, or abusing their children. I would wonder why they even got a chance at motherhood and why I’m fighting for a chance. Infertility seems like precious time wasted. It is hard. It’s incredibly lonely. It’s confusing. It will leave you feeling helpless. Now, after many years of struggling with infertility, I can look back at all I learned, and I know that I was chosen to experience it for many different reasons. 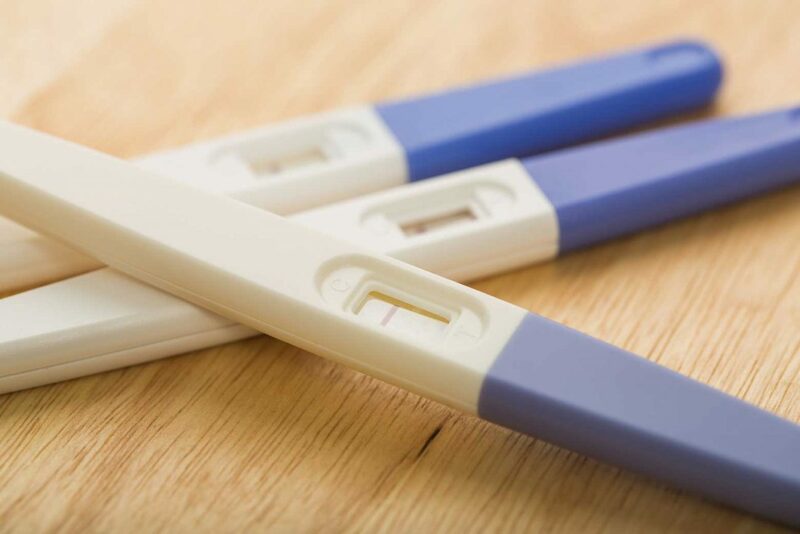 I had plans, just like you, but my life was interrupted by infertility. You and I are not defined by infertility. I finally saw infertility as an interruption in my plans, but not the ending. I finally saw infertility as an interruption in my plans, but not the ending. This was not an overnight change in perspective, by the way. It was after many years of being sad, mad, confused, lonely, and hurt. My heart and mind had to go through their own journey to get to this point. Because of infertility, I was able to have opportunities at my job, in my marriage, and in my personal life that I would have never gotten to take advantage of if I had gotten pregnant or had a baby when I had planned. Infertility caused me to count the blessings I had been given in a different way. For whatever reason, I hadn’t been given a child, but I had been given a lot of other things and people in my life. I, personally, had let the process of becoming pregnant consume my every thought, time, and emotion…almost to the point that it was not even about a baby and being a mother anymore, but about conquering this impossible feat. There was nothing left of me for anyone else. I, at times, found myself forgetting about my first love, my husband. Infertility is hard on a marriage, but it can also be a good opportunity for your marriage to strengthen. Infertility gave my marriage a chance to deepen and either sink or swim. We got to know each other on more intimate levels than many couples would ever have the chance to experience. In those moments of negative tests, fertility shots, and others’ pregnancy announcements, he was able to see a side of me that only he was meant to see. He saw all of me. We can let our husbands learn how to console us and share in the pain, or we can push them away and deal with it alone. Infertility allows him to get a good look at who you are and how you react to challenges. Infertility gave my husband the chance to be the knight in shining armor I dreamt about as a little girl. I, all of a sudden, saw the pain and agony of this interruption as a gift because it was opening doors all around me that I wasn’t aware of before. I learned very quickly not to be jealous of another woman’s situation. While it looked like she had everything I wanted by being pregnant and having her own babies, she still struggled. Now that I am finally a mom, I love my kids with a different kind of love. It’s a mother’s love, but it’s different. It’s more of a treasured love because I’m more aware of the reality that this dream very easily could not have come true. I think I used to have a sense of entitlement when it came to having kids…because that is just how things work out for everyone. When it didn’t come so easily, my appreciation for my kids grew. Now that I am finally a mom, I love my kids with a different kind of love. I say all this to say that yes, infertility is hard. It makes your heart ache. But, it’s a thing. It’s a chapter in your story, not the whole book. Infertility is a journey. It might be where you are right now, but it is not where you will stay. You will start a new journey. For some, that journey will be motherhood. For others, it will be taking a different path—acceptance. Acceptance doesn’t mean the desire leaves you. I finally accepted that I wasn’t going to carry my own children, so for me, infertility was a bridge to adoption, but it’s not for every woman. The desire to be a mother will never leave, but the journey of infertility will lead you to something or someone, I promise. It just might not be what you had planned. Carey is head over heels in love with her college sweetheart, Craig, and sees her kids as messy, loud, funny, beautiful, and fascinating creatures! In her opinion, eating her favorite foods is the greatest form of entertainment!